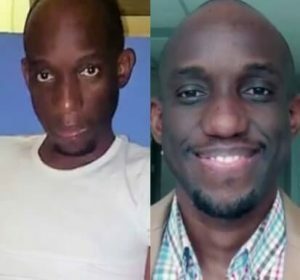 Singer, Obiwon has taken to his Instagram page to reveal how God saved him from a sickness that was fast consuming him. On this day a year ago I entered what was the most trying season of my life. It was a matter of life and death. What seemed to be fever with stomach pain dovetailed into a complicated matter with my abdomen. On the journey to the other hospital, I could feel myself slipping. I was so weak I couldn’t talk. My stomach was bloated. I didn’t mind leaving bearing in mind the pain I had been through for about a week by then, but at that point God reminded me of my wife and children who would bear the brunt if I gave up easily. I was stabilised at the new place and a gastroenterologist attended to my matter. However all along this was a deep spiritual battle. I had previously been shown the battle in dreams. After the surgical procedure to evacuate the “appendiceal mass” discovered in my stomach, I was supposed to heal and stabilize but it wasn’t so. One particular night ordinary paracetamol injection caused my heart to start palpitating. The doctor in charge asked if I had a history of heart problems, I didn’t. I was frustrated. I asked to be left alone. I wanted to live but my body wasn’t healing. We had prayed and prayed and received victory but I was getting worse. Prior to this I had never personally thought of Romans 8:11 as healing scripture. It was later I connected the exact chapter and the verse what I heard was coming from. I was stirred in my spirit. I began to declare boldly that I have the Holy Spirit, He is inside of me, the same One that raised Jesus from the dead, therefore He will quicken my body to heal as I stir Him up. With my last energies I began to sing, shout and pray aloud in tongues in that hospital. This was happening at about 1am or 2am. The nurses heard me, the patients heard me but at that point I didn’t care. I was greatly stirred. It was like I had receive a great light. By the time I was done my heart palpitations stopped. At dawn one of my doctor friends came to confess to me that everyone on duty that night thought I wasn’t going to make it in the morning.